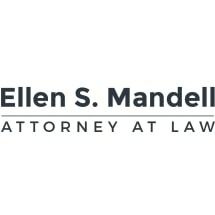 From the Beachwood, Ohio, law office of Ellen S. Mandell, Attorney at Law, Ms.
collaborative law, enabling clients to sidestep litigation. • Planning for the long term: They anticipate potential challenges down the road. of the most difficult decisions they may ever have to make. was given the Cuyahoga County Bar Association’s President’s Award. Cuyahoga counties. This law office accepts credit cards.